Essay in Michael Fullerton monograph, "Pleasure in Nonsense". The essay consist of two separate but interweaving narratives: one speculates on the life of The Hon. 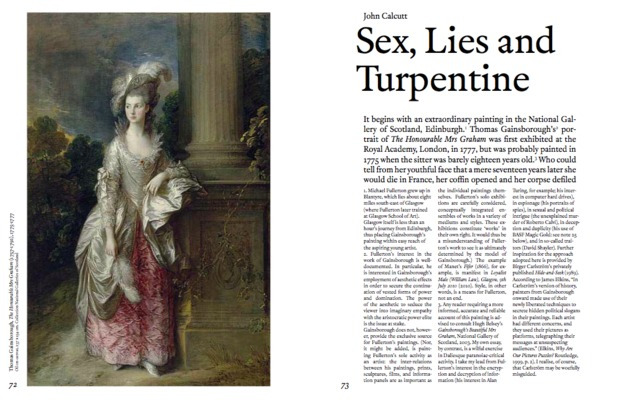 Mrs Graham (the subject of a 1775 Thomas Gainsborough portrait, National Gallery of Scotland); the other (in the form of extended footnotes) directly addresses Fullerton's work.